Arthur J. Nam, MD, MS, is a nationally and internationally renowned plastic surgeon and assistant professor of plastic and reconstructive surgery at the R Adams Cowley Shock Trauma Center/University of Maryland School of Medicine. Dr. Nam completed his medical degree at Jefferson Medical College, general surgery residency at George Washington University Medical Center, and a research fellowship in Plastic and Reconstructive Surgery at the R Adams Cowley Shock Trauma Center. He also completed a combined plastic surgery fellowship at The Johns Hopkins Hospital and University of Maryland Medical Center. He is double board certified in general surgery and plastic surgery, and is an active member of the American Society of Plastic Surgeons and the American Society of Transplant Surgeons. His areas of research are in complex adult craniofacial trauma, reconstruction of secondary craniofacial deformities, and clinical outcomes following reconstruction. 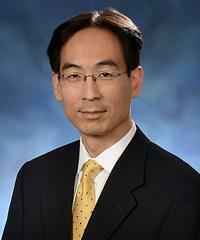 His expertise include using microsurgical techniques to reconstruct soft tissue defects of head and neck, chest, abdominal wall, and lower extremities following traumatic injury or oncologic surgery. He is active in vascularized composite tissue allotransplantation (VCA) research and a close collaborator with the Division of Transplant Surgery. He is the recipient of the Young Investigator Award at the 9th American Transplant Congress in 2009, and has published numerous peer-reviewed articles in basic and clinical sciences related to plastic surgery and transplant surgery. He currently serves as Manuscript Reviewer for Archives of Craniofacial Surgery, Archives of Plastic Surgery, and Craniomaxillofacial Trauma & Reconstruction.